Updated The Asus Zenbook 3 packs an impressive display, lightweight construction, snappy performance and average battery life. Updated Windows 10 updates and leaks are making the Surface Book even more enticing. Updated From excellent design to massive software enhancements, Google Pixelbook is the best Chromebook to date. 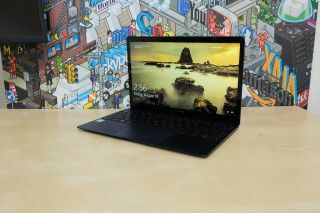 Updated We find it tough to recommend the Acer Swift 7 on account of poor performance for its price and a goofy touchpad. The Razer Blade 2019 is its most improved gaming laptop yet, with better graphics and longer battery life. Updated Apple promises its new 15-inch MacBook Pro is up to 70% faster than its predecessors. We put it to the test. The Lenovo Legion Y7000P punches above its weight in terms of gaming prowess – a great choice for most budget minded gamers. Updated HP’s new, 13-inch Spectre x360 2-in-1 laptop is as capable as it is good-looking. Updated The 2018 Razer Blade is a slick and good-feeling laptop, but it’s held back by flaws that are tough to ignore. The Acer Chromebook 13 has powerful hardware and a robust build. But, is that worth compromising on a touchscreen and an out of date design?